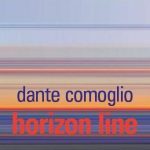 The Horizon Line an exhibition featuring the art work of Dante Comoglio. Two series by the artist are featured: the Horizon Project, consisting of photographs which test our concepts of travel, perception and distance. As well as the Yes/ No installation: a series of post modernist works consisting of found objects from both the natural and artificial world. The show begins on April 10 with a special opening reception on April 24, at 7 pm.